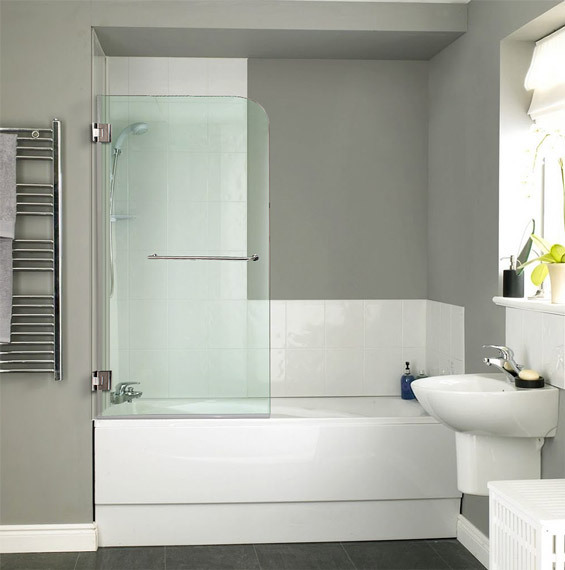 Frameless glass bathtub screens are a great way to break up the space in the bathroom without creating a sense of so much enclosure. They are the ultimate minimalist bathtub feature and really take your bathtub to the next level. 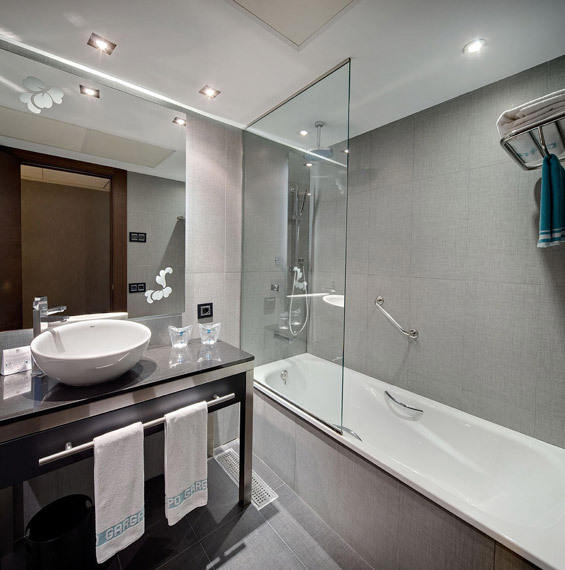 The frameless bathtub screen actually swings, so you can open your shower up completely. 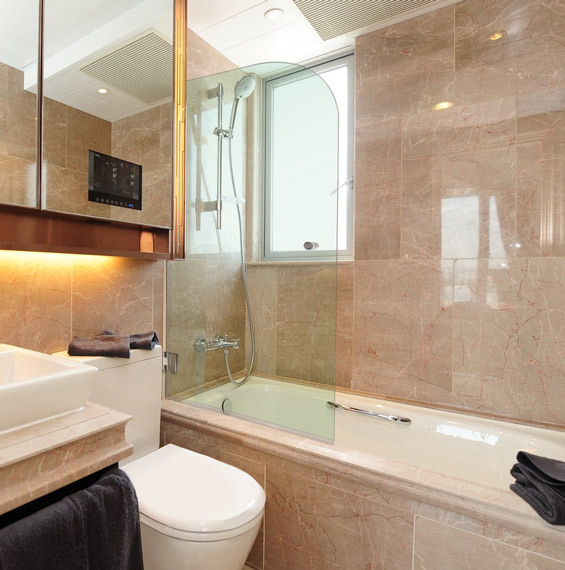 You can customize your frameless bathtub screen in many different ways, including the shape. 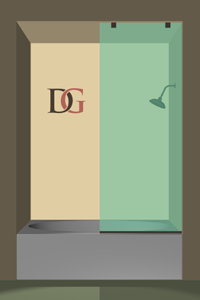 Our glass screens are made of the highest-quality 3/8" tempered glass which offers superior structural integrity for your shower enclosure. 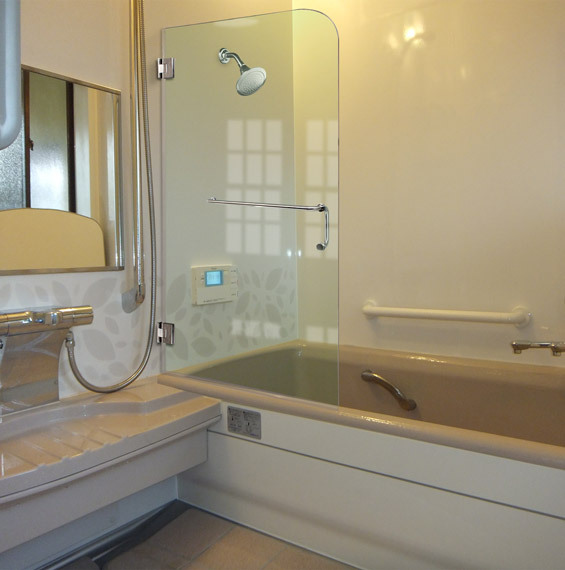 Glass tub screens are durable and constructed with the best quality hardware. In addition, they're easy to clean, because of the lack of a frame to collect dirt and moisture. 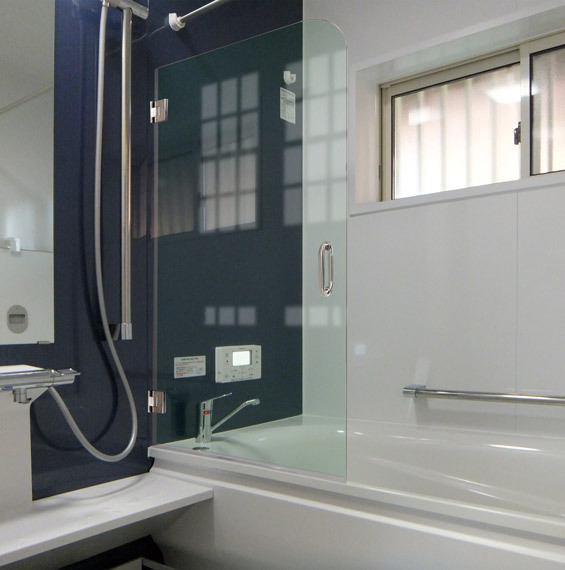 You can customize your shower just how you want it: thickness of glass; glass tints and types; hardware finishes, and glass surface protection. Your bathtub screen can attach to the left or right of your shower. It should be placed in front of the shower head for functional purposes. 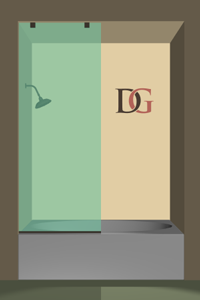 Your bathtub screen can be fixed in place or swinging. If it is fixed, it will be applied with U-Channels to hold the glass. If it is swinging, we will use hinge clips to attach the screen to the wall.